How Old is Your Great Dane? Great Danes are giant dogs and they need a big, tough bed. Since Danes grow so fast, you should consider getting one of the largest size dog beds right from the beginning. Here are some tips for buying a bed and some of Scout’s picks for the best beds no matter what your budget is. If you like a project then consider one of our DIY options. Puppies tend to go through a chewing phase so you might want to get a less expensive bed that is a little smaller than what a grown Dane will need. This can save you from spending a lot only to have them tear apart the bed. Senior dogs may do better with dog beds that are made of orthopedic foam to provide extra comfort and support. There are a lot of different dog beds, so setting a budget is important before shopping. Don’t expect to get a dog bed sized for a Great Dane that costs next to nothing. If it sounds too good to be true then it probably is. Cheap materials are not going to hold up to what a giant breed puppy can throw at them. For example, there are some great LL Bean dog beds, and while they do cost a bit extra, they last for many years with proper care. A lot of dog beds come with washable covers but not all. You can always put a sheet over a dog bed and wash that but being able to take off the cover each bed comes with can be a big help and encourage you to keep things cleaner. Paying a little extra for something that is washable is often worth it. 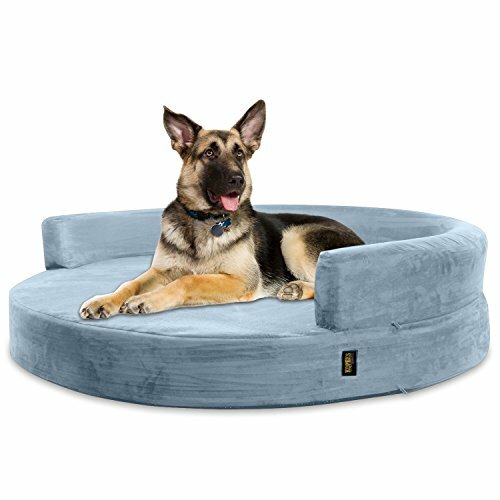 Furhaven does a good job providing a great dog bed for less money. This bed is plenty big enough for giant breeds like the Great Dane. The bolstered edges provide a nest-like feel and offer support for heads or legs. Egg crate foam helps support and comfort your dog. The poly canvas base is non-slip and water resistant; if you have a puppy or a dog that is not quite house trained or that drools a lot this can help. The cost is low enough that even if you go through one of these in the puppy years it’s not a big deal. The dimensions of this bed are 44″ x 35″ x 4.5″ (sleep surface – 32″ x 29″). MidWest Quiet Time Pet Bed, Gray, 54" x 37"
This bed measures 54″L x 37″W x 3.6″H, so it offers a lot of sleeping space. 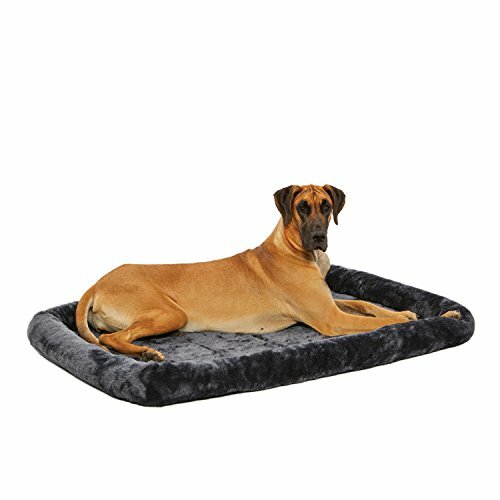 The faux fur exterior and poly bolster design offer support and comfort for your Great Dane, and the price is right! The entire bed is machine washable so it’s a great choice for those that have a Great Dane puppy. It is designed to fit 54″ dog crates so if you are a fan of crate training or travel with your dog, this bed offers versatility. This bed can be folded up if necessary for travel. This mattress style bed measures 60″L x 43″W x 8″H, making it a super plush and supportive dog mattress. The bed is made of heavy-duty canvas with a plush top. The bottom is skid and water resistant. The cover comes off for easy washing in any machine. This is a bed that is big enough that a giant dog and a smaller dog together, so if you have dogs that like to cuddle this is a good one to consider. 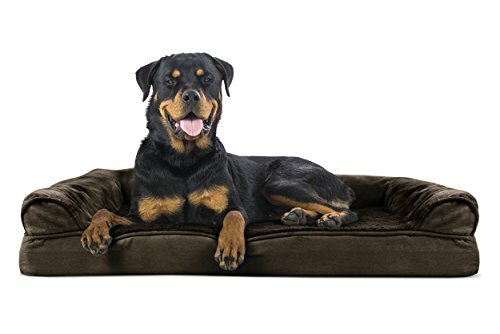 Petlo Giant Orthopedic Pet Bed for Big Breed Dogs with Head Rest – Soft and Comfortable Memory Foam – Water Resistant – Removable Machine Washable Micro Suede Cover – 62"x50"x7"
This is a more upscale dog bed that measures 62″ x 50″x 7″ thick! 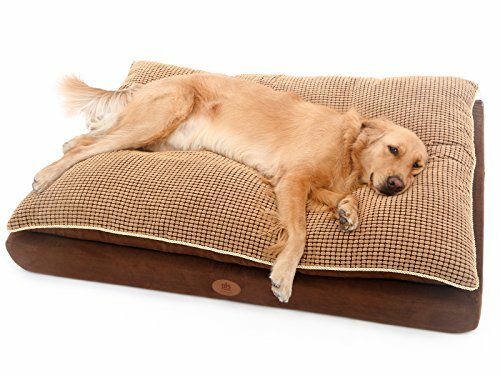 The bolster measures 10″ thick and offers a great place for your dog to lay their head. The bed has 3″ of support foam and 4″ of memory foam, making this bed is a solid and supportive choice for those with dogs that need extra support for hips and joints (like the Great Dane). I would avoid this bed for those that have puppies that are at the chewing stage because it is a really nice bed. After the puppy stage or for those with senior Great Danes, this is a good deal. The soft suede cover comes off with ease so you can toss it in the washer when needed. The cover is water resistant so drool doesn’t sink in to the interior! 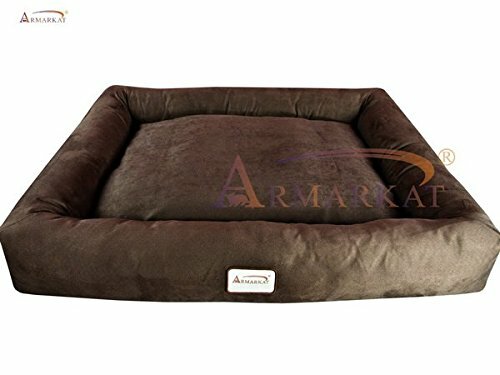 This 50” Diameter bed is 6″ thick for great support and comfort for your dog. The waterproof inner cover keeps spills and moisture out of the interior. The exterior cover is made of soft suede that can be put in your washer for easing cleaning and deodorizing. This is a good bed for dogs that like to be in a nest but are too big for a lot of other beds. There is plenty of room in there for another smaller cat or dog to cuddle up with your Great Dane! The Big Barker might cost a lot more but it does come with a 10-year warranty. A full 7″ thick means it provides a lot of support and comfort. The bed measures 60″ x 48″ x 7″ so there is a lot of room for your dog to flop out or cuddle up with some of their friends! This bed is handmade in the United States and comes with a machine washable cover. The Big Barker is only recommended after you get your dog past the chewing phase. 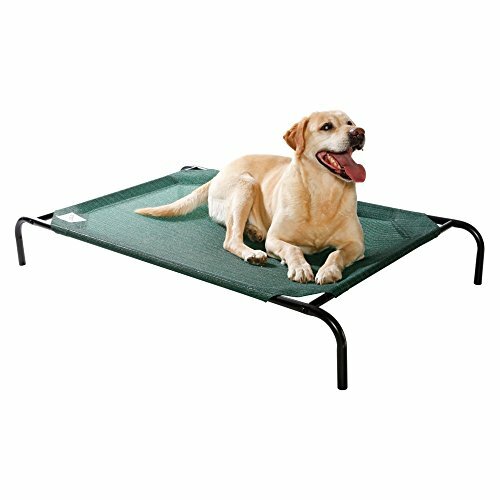 This is an ideal bed for adult dogs because you won’t have to buy any other bed and it offers plenty of support for seniors. This bed measures 39″W x 54″L. A foam base and plush pillow top makes for a cozy bed that your dog is sure to love. It is recommended that you throw the bed in the dryer. The top has a corn kernel texture that is super comfy for your Dane. 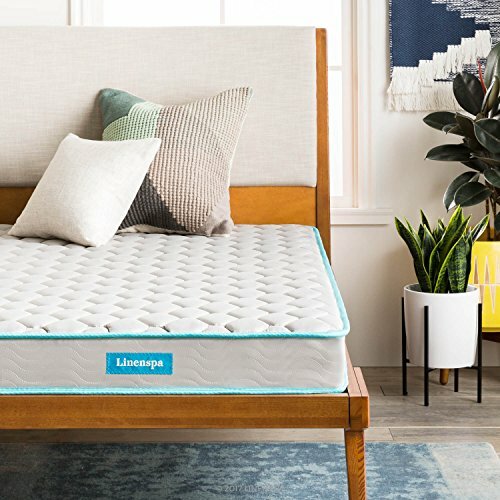 This is a luxury bed that is not meant for those on a budget. The foam is medical grade and made to last. With the plush top and firm base, this is well worth the investment. After researching large dog beds for my own dogs, I came to the realization that we had an old 8-inch thick foam mattress. 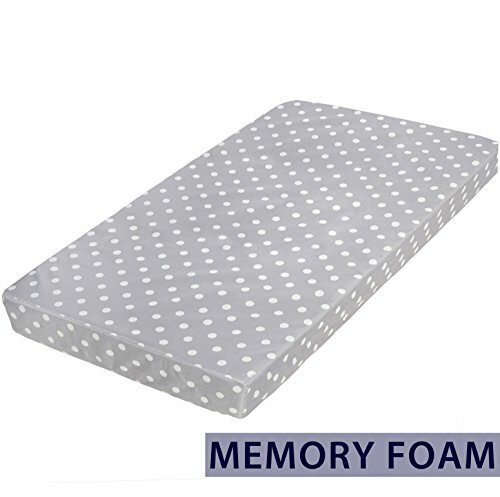 It was one of those that have two inches of memory foam on top and a firmer foam base. It became a bit worn, so we set it aside. When it was obvious it was not needed we used an electric kitchen knife to cut the foam. If you cut a queen size foam mattress in half you get a bed that is 45″ x 60″! You can get two good size dog beds out of one old foam mattress. I used fleece blankets or fitted sheets as washable covers. It worked great, and since we got a puppy that wanted to chew, I am thankful I did not spend a lot on his first dog bed. We really didn’t lose anything by using something that was just going to go to the dump if we didn’t upcycle it. 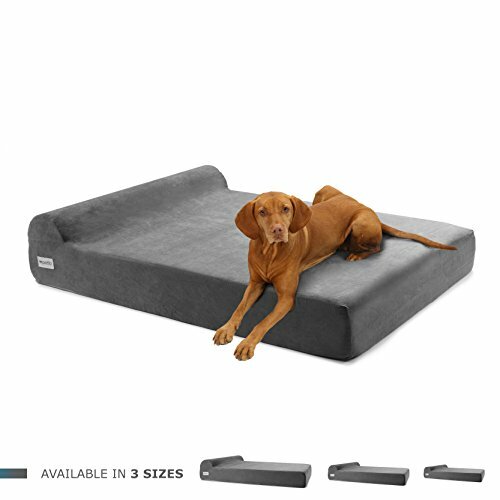 There are foam mattresses and innerspring mattresses for sale that make great large dog beds and they cost less than a lot of high-end dog beds. You can also easily buy sheets and coverings for them. A twin mattress is about 39″ x 75″ and the sheets and blankets are really inexpensive and easy to find. Toddler and crib mattresses are in the 52″ by 29″ range, which could work but may seem a bit narrow for some grown Great Danes that really like to flop out entirely while they sleep. The price is comparable to a twin size mattress, so If you want a nice wide bed for your Dane, the twin is the way to go. Also, the sheets are easy to find for covers compared to toddler sheets. 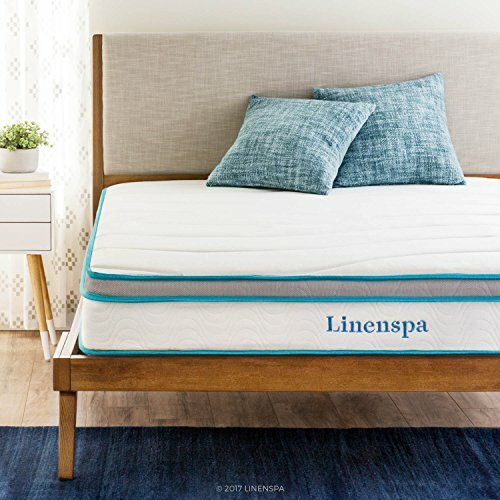 Milliard Memory Foam Crib Mattress + Waterproof Cover | Premium Hypoallergenic Toddler Bed and Next Stage Baby Mattress | 27.5"x52"x5.5"
For staying cool and elevated, a raised dog bed has some advantages. You can also put these outside so your dog has a clean place to lounge. They are very lightweight and you can add a pad or pet mattress to them part or all of the time if desired. Some beds last longer than others because they have removable covers. You can also sew covers or use old fitted bed sheets and some velcro or elastic to make them fit better. Remember that chewy puppies can mean you want to avoid spending a lot before they get over gnawing on everything. To prevent mildew and water damage you can use a mattress encasement to help beds last longer. Over the years a giant breed dog needs more support for their hips and joints. If they have a softer bed when young you may need to upgrade to a firmer or orthopedic dog bed. Scout hopes you have found the bed for your Great Dane that will make them the happiest and most comfortable all the time.